Help increase higher order thinking and prepare your students for the constructed response portion of state tests with these constructed response assessments. 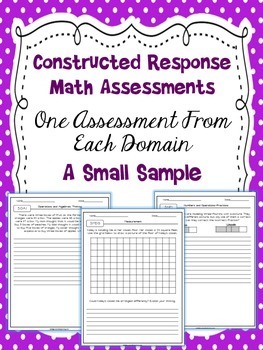 In this pack, you'll get five assessments that are written in the same format and style as my larger Common Core Constructed Response product! You can check out the full version HERE.